You choose tools that are built for strength and durability – and that includes the electrical tapes you use for electrical and mechanical protection applications. Whether used for primary insulation, as a jacketing or for phasing, Shurtape engineers its products to meet – and exceed – the industry’s expectations for quality and performance. So you can be confident every job, big or small, lives up to your exacting standards. 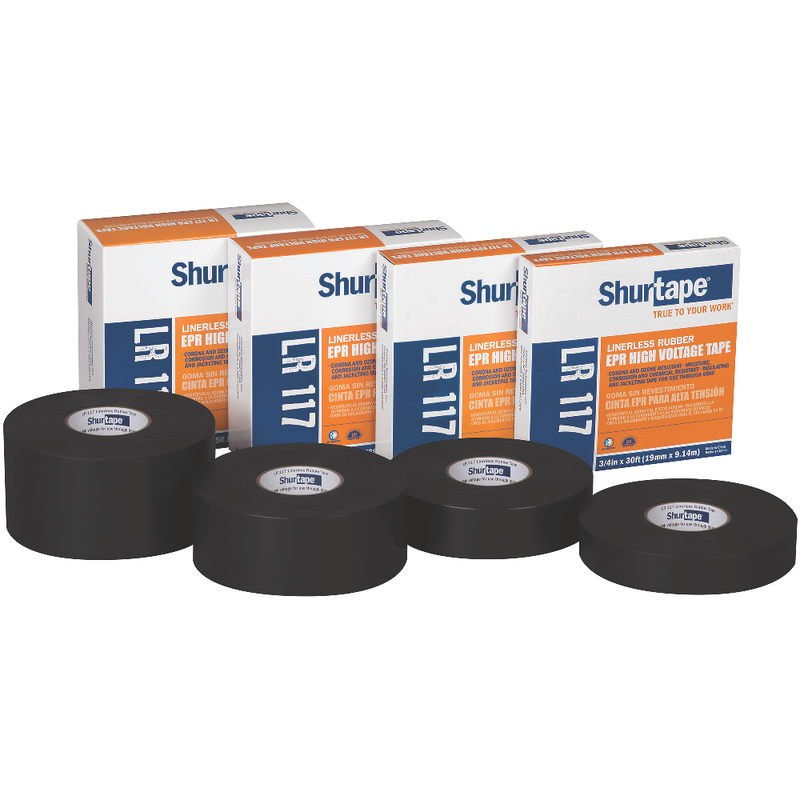 7.0 mil, professional grade, UL Listed black electrical tape for insulating and splicing applications. Professional grade, 7.0 mil, all-weather vinyl insulating tape used for electrical and mechanical protection in temperatures ranging from 0 F to 220 F. UL Listed and CSA Approved, EV 77B black electrical tape is lead free, flame retardant, and is engineered with a polymeric backing construction, as well as a specialized method of bonding the adhesive to the vinyl backing, which allows the tape to be highly conformable and deliver a moisture-tight seal, even in extreme temperatures. 7.0 mil, general purpose grade, UL Listed black electrical tape. 7.0 mil, general purpose grade, UL Listed electrical tape available in a selection of colors. 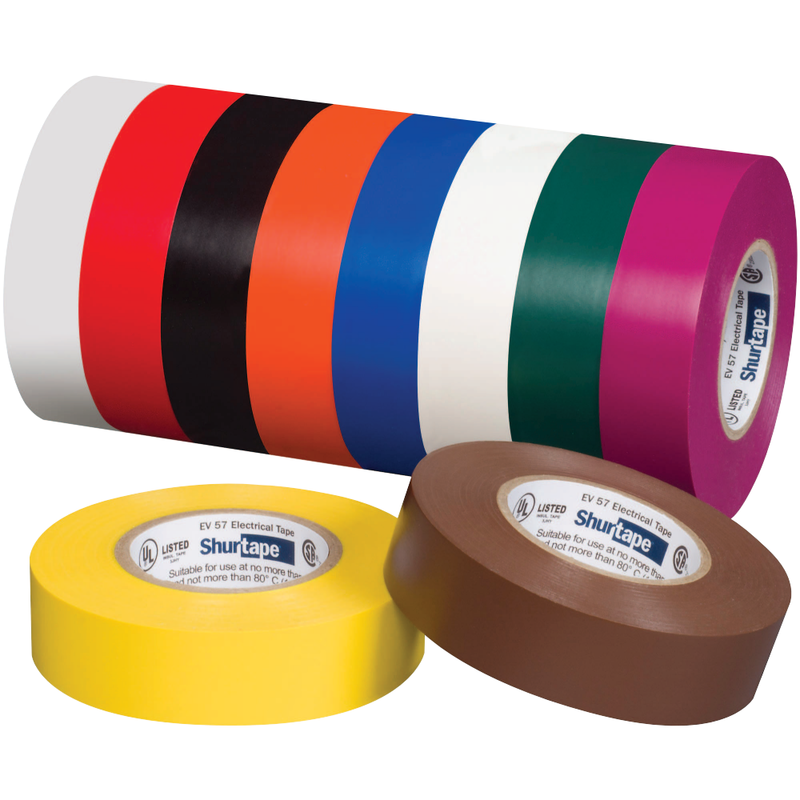 7.0 mil, professional grade, UL Listed colored electrical tape for color-coding and phasing applications. 8.5 mil, premium grade, UL Listed black electrical tape for insulating and splicing applications. 30 mil linerless, high voltage rubber tape for insulating splices up to 69,000 V.